Last month, the Reserve Bank of India (RBI) restrained the lender from opening new branches and also freezed remuneration of its CEO Shekhar Ghosh for not meeting the licensing conditions. 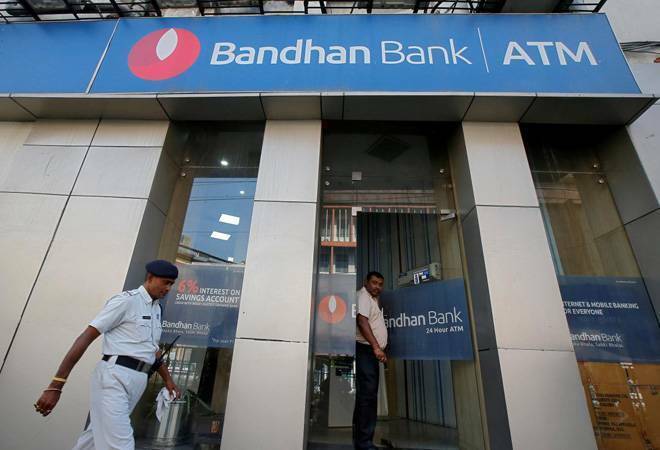 Private sector lender Bandhan Bank said on Friday it has got exemption from the market regulator, SEBI, on one year lock-in period for selling shares by promoters. The RBI's restriction came as the bank was not able to bring down the shareholding of its non-operative financial holding company (NOFHC), Bandhan Financial Holdings (BFHL), to 40 per cent, from the current level of 82 per cent. In a filing to exchanges Friday, it said "the Bank has received an exemption from the SEBI with respect to lock-in of one year on the equity shares held by the promoter and eligibility condition of one year from listing". The bank came out with an IPO in March of 2018, whereby all existing shareholders, including BFHL were under lock-in for a period of one year till March 2019 as per SEBI regulations. "The three options available to us are offer for sale (OFS), where the NOFHC dilutes, do a merger and acquisition, and depending upon business requirement, we can look at primary or secondary fund raising. We are evaluating these options," Ghosh said. In the quarter ended September 30, 2018, the bank reported a 47.4 per cent growth in its net profit at Rs 488 crore in the quarter ended September, aided by higher growth in interest income. It's profit after tax stood at Rs 331 crore in the same quarter last year.